This painting was done with acrylics on canvas, original is currently for sale. Colors on your monitor may look slightly different from the colors on the image. 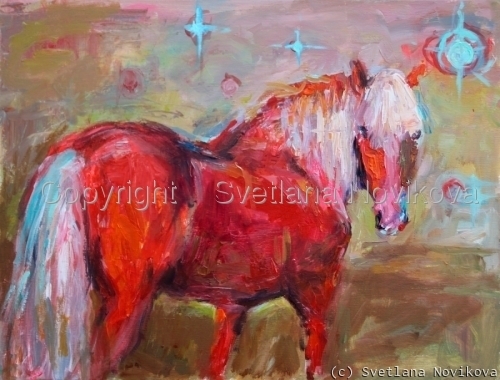 Signed and dated, copyright Svetlana Novikova. 5" x 6.625"8" x 10.5"11" x 14.5"14" x 18.375"17" x 22.375"20.875" x 27.375"